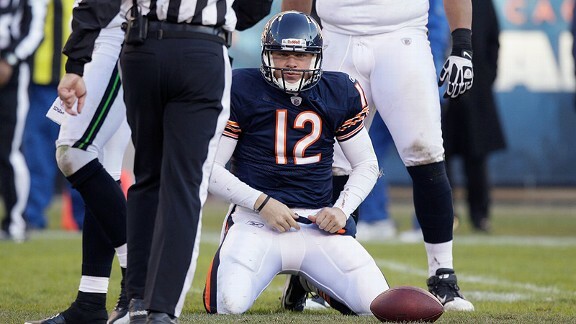 Former #Bears QB Caleb Hanie expected to sign with the #Ravens, per a league source. Thanks to mike23md on the sig! One of the worst QB's I've ever witnessed play. And I watched Blaine Gabbert in 2011. Ravens sign Hanie.... Thanks Joe Flacco. Your comment has what to do with the topic? so both of our comments had nothing to do with the topic. You're right. Difference between us is that I didn't get but hurt about someone else's comment. Are we seriously going to sensor but hurt? But seriously: game changing move. But for serious, serious: I never liked/felt comfortable with Tryod Taylor as a backup, but I doubt Hanie beats him out. At least all of our developing/project wide receivers get a more traditional passer to work with during the offseason. I predict somewhere in the 6-8 year range for about 80-100 million. Most likely a bit frontloaded since he is getting up there in age. Doubt he makes the 53 man. Hanie? Yepp. It's mindboggling, almost impressive. Provides a decent camp arm that can be cut pretty easily and painlessly.